It's like having a dedicated IT Department but for a fraction of the cost. Today's viruses, malware, and other threats are using a new style that gets your permission to bypass any protection you have. Staying on top of computer maintenance is the best way to keep productivity up and frustration with computer issues down. Let us keep your machine free of addware, malware, and other viruses that will quickly lock you out of what you need most. Keeping your most important files backed up in the cloud assures you that if anything were to compromise your machine your data would be safe and accessible. Calais Computer Plus is just a quick phone call away when you run into an issue that stops your work. 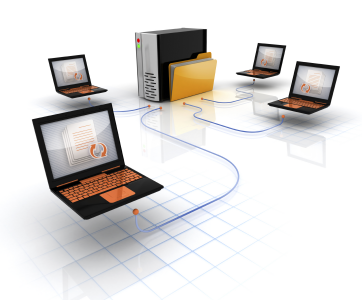 We can take over your machine remotely and help you through the issue quickly and professionally. A quick and safe install and we can take control of your machine and quickly diagnose and help with any issue you may come across. Don't let little printer or file issues get you frustrated, just give us a call! We use the widely known and trusted TeamViewer to let us take over your machine. They have a secure software program that lets the goods guys in while keeping the bad guys out. Let the sensitive data be handle by the pro's. Keep each client machine running at tip-top shape. No longer do you have to worry about what needs to be done or not. Have confidence that your machine is in the best possible state. We partner with Carbonite to bring the best cloud backup technology to you and keep your important data always safe and available. Some issues can be fixed in a few clicks if you know the right paths to take. 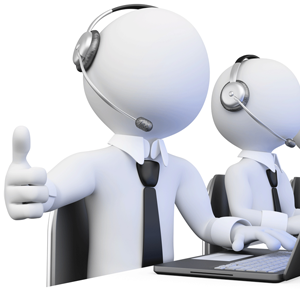 Give us a quick call and we can take over your machine and get you back on progress with little time wasted. We customize the support package to your specific needs. Don't worry about paying for things you don't need. Let us help you save money, time, and frustrations by keeping you connected and running smoothly. By utilizing our business support plans you will also get generous discounts on any work that goes above your monthly plan. When it comes time for those network and machine upgrades you will be able to get the work done for a fraction of the normal costs. ©2015 Calais Computer Plus, LLC.